What better way to kick off a beautiful summer than to hit Fifth Avenue and shop away the day? 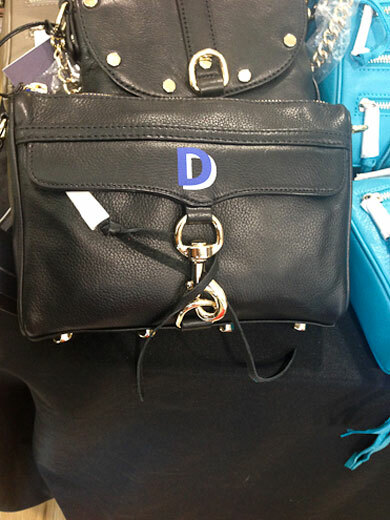 If you are looking for bright, demurely loud accessories for your closet, you need to get to the Rebecca Minkoff sample sale as soon as humanly possible. 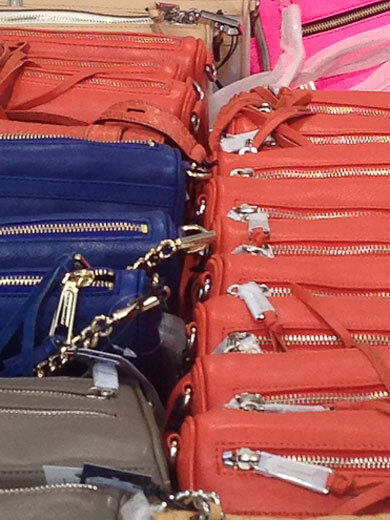 When an accessories designer like Rebecca Minkoff has a sale, it is a veritable gold mine. Well known for her ‘Morning After Bag’ , Minkoff’s IT bags are more than trendy accessories, they are well made, well known, and fit numerous wardrobe styles. Whether you are searching for the perfect studded black backpack (at less than $300!) 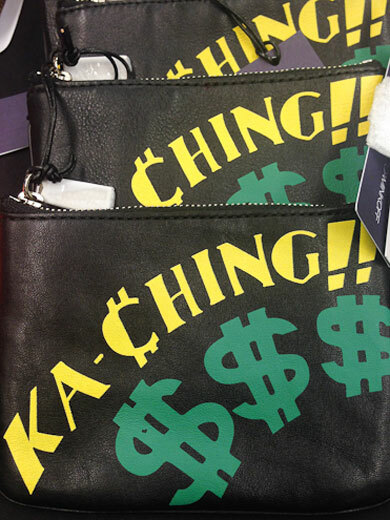 or a fun, neon, zippers-a-plenty saddle purse, this is your stop. The sheer abundance of special bag after insanely special bag was staggering! Initialed Mini Mac’s in TWO colors (red and black, respectively) and a plethora of wallets can revamp your carry on game exponentially. To the right by the cashiers you can find the sample stash. 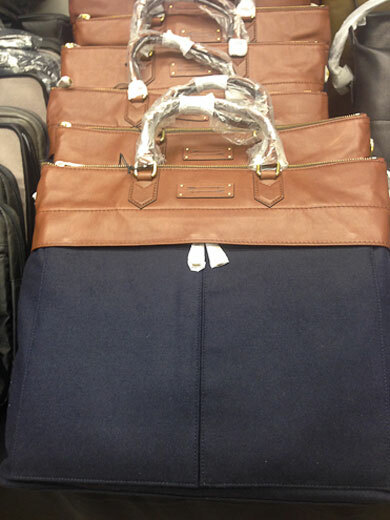 These bags were only very slightly blemished, and priced at only $100, in my opinion looked perfectly broken-in. Shoes and sandals were also priced to move at less than $100 per pair, meaning going earlier in the week is key if you want to score some stompers. The color palette of this selection was dreamy and warm, with coral reds, peacock blues, and ashy grey colors that looked almost green. Of course, black and white sandals and stilettos were hanging around, and will most likely be the first to go. If you are still playing with last season’s super saturated neon trend, this really is an essential sale for you. 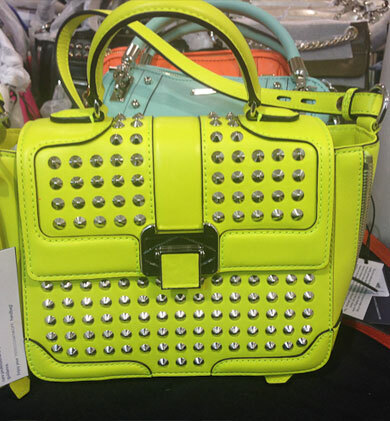 Highlighter yellow and pink studded Elle Mini’s were my favorite, and almost pulled me back into last season. 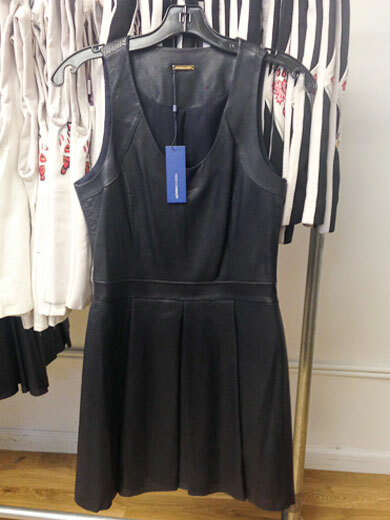 More new classics such as leather pencil skirts, leather sleeved military jackets, and black and navy blue leather fit-and-flare dresses were also shining displays of discounts, priced at around $400 a piece! Clothing was of the more spring variety, with dense florals, silk maxi dresses, and lace cutaway A-line dresses. Rebecca Minkoff’s handbags are becoming iconoclasts of form, function, and fashion, but her clothing is quickly gaining pace with its ladylike silhouettes and bold print range. Looking for something more masculine is easy to do with the back right table’s goodies. Bold navy blue canvas and brown cowhide is paired to create more conservative styles to hold all of your files and electronics. Whether you crave a luxurious all leather case or an all canvas casual style tote, this table has all of that and more, an early Father’s day gem for sure. Belts, laptop cases, keychains, and eyeglasses case are priced at impulse buy threshold, and you might find yourself grabbing one of each before stopping by the super friendly cashiers desk, making this the first and one of the best stops for sample sale season!